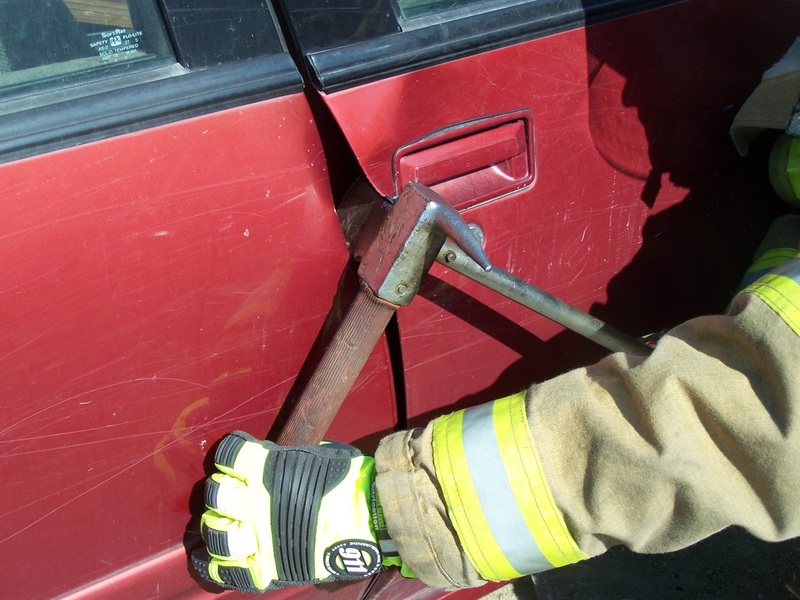 The PRY AXE®,, Model F-2 is a compact, strong, light weight multipurpose forcible entry tool. Your PRY AXE is supplied with the removable metal cutting claw. The serrated teeth on the side of the axe head are for pulling wire lath and nails. 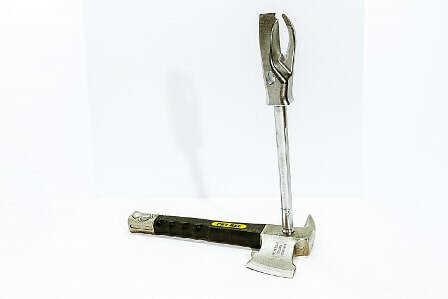 A spanner wrench is built into the axe head above the serrated teeth. The PRY AXE may be used in the closed position for chopping, prying or metal cutting. The “Extended & Locked” position is used for additional prying and chopping leverage. The pike is used to break automobile glass, punch holes in wood and metal to provide an opening for inserting the metal cutting claw. 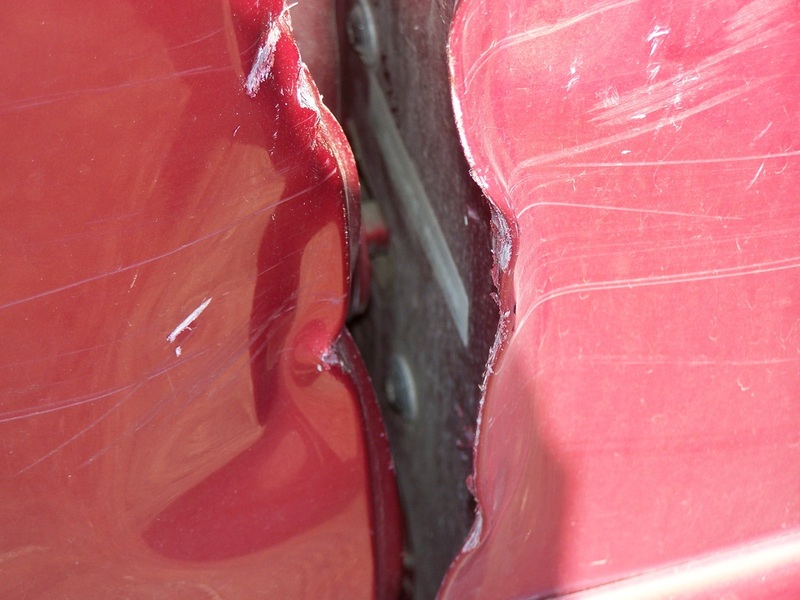 The Pike is driven into the vehicle fender to keep the Chain sling and Come-A-Long in place when pulling an automobile door or creating a three door car. 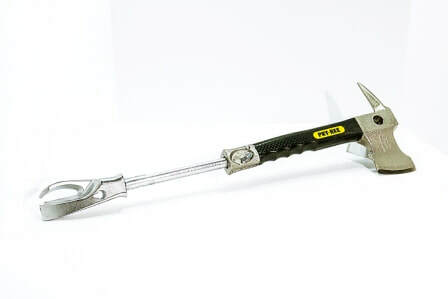 The metal cutting claw can be inserted in the hole created by the pike and the axe handle can be operated as a “slam hammer” to provide hammer blows to drive the metal cutting claw through heavy metal or sheet metal. Separated, the two tools can be used efficiently in combination or singularly. The “Joined” position has the metal cutting claw inserted at a right angle in the axe head for additional leverage in right angle twisting and prying as shown below. The “claw” portion of the PRY AXE® may be extended and locked in the extended position to provide better leverage for chopping, breaking glass and prying. 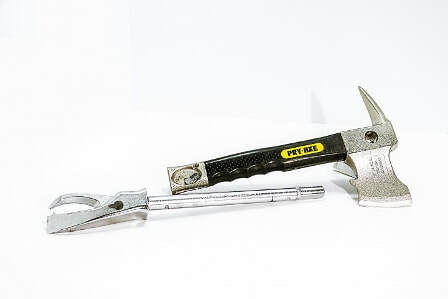 The PRY AXE can be used as a slam hammer or impact cutting tool The “claw “ is inserted into the sheet metal, extended in the unlocked position and the axe head is slammed closed to cut sheet metal. 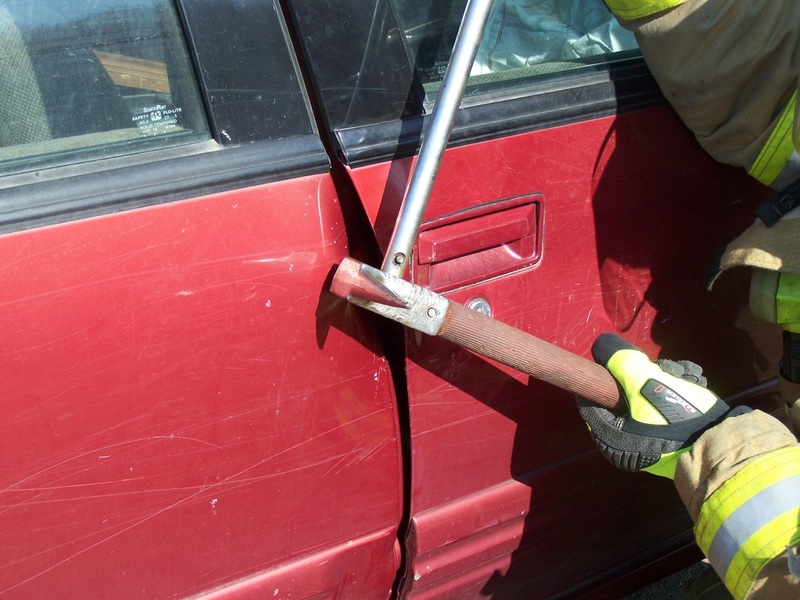 PRY AXE is a Trademark TM of Paratech Corporation. Shipping weight 6 lbs. Ships via FedEx Ground ®.